Picture of a bald eagle bird coming in to land on a tree. Bald eagle bird with wings open coming in to land on a tree. 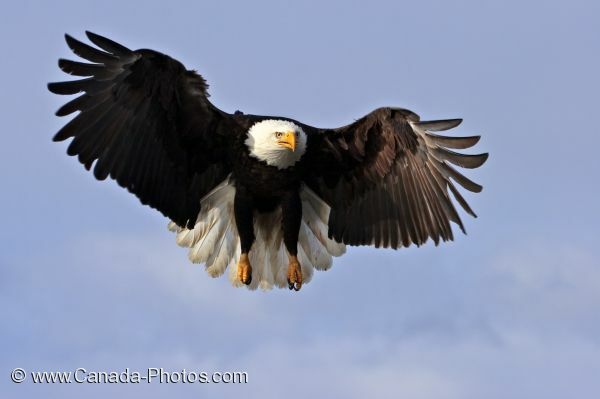 The bald eagle is also known as a sea eagle or scientifically as Haliaeetus leucocephalus. This beautiful bird can be found from Northern Mexico via Canada all the way up to Alaska. Please let me show you more of my pictures from my "photo gallery: bald eagle pictures".